When the Department of Health and Human Services (HHS) or the Office for Civil Rights (OCR) reaches out to health care organizations in response to a potential HIPAA investigation, auditors follow a very specific path toward contact, investigation, and resolution. Once a complaint is received and OCR has determined that it is legitimate, it will issue letters of notification to both the complainant and the recipient. These letters will outline a timeline for the investigation and will explicitly identify the investigating party as the OCR. Once the investigation begins, OCR will collect and review documentation submitted by both parties. They may use any number of investigative methods including interviews and onsite visits to determine if there is sufficient evidence to support the allegations. Once again, OCR will send a letter explaining their findings. Resolutions will then vary depending on the outcome of their investigation. 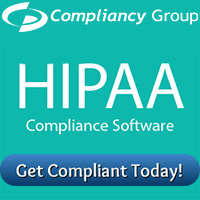 HIPAA audit survival starts with keeping informed about OCR procedures. Knowledge is power. In this case, being aware and prepared is the best way to prepare your practice for a potential investigation. OCR will only contact you directly via a certified letter or email. Disreputable parties regularly attempt to lure unsuspecting practitioners into buying “certification” services that are fraudulent. FACT: There is no certifying body for HIPAA compliance by any federal or private entity–any organization that claims otherwise is using misleading or potentially fraudulent language. Your best defense then is to keep in mind the above described process, and stop communicating with any party that suggests a deviation from the standard procedure outlined. If your organization receives an email or call from an entity claiming that you need to have a “Mandatory HIPAA Risk Assessment Review with A Certified HIPAA Compliance Adviser” be on full alert. This deviation from the official procedure described above will let you know that the caller is not providing a legitimate notice from a federal or state regulatory agency. Do not feel obligated to provide or share any of your information if you receive such notice. Check the source of the email. These fraudulent emails are being sent from sources such as ‘OSOCRAudit@hhs-gov.us‘, while a legitimate OCR email will be sent from ‘OSOCRAudit@hhs.gov‘. The distinction is subtle, but that’s characteristic of scams such as these. *TMHI is affiliated with the Compliancy Group and earns a small fee when you make a purchase. This is great information. I went to the hhs site before reading this and was surprised at how easy it can be to be scamed in this arena.